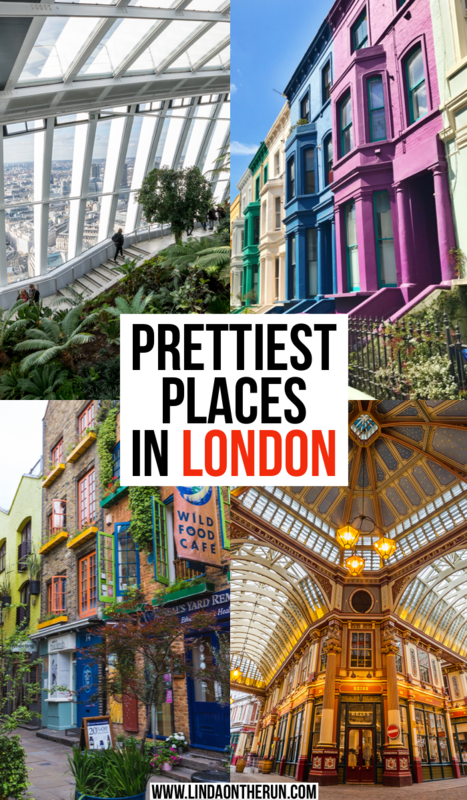 Are you looking for the most beautiful places in London to visit? Maybe it is to take Instagram photos, possibly to take memorable family pictures, or simply to surround yourself in the best of what London has to offer. Well, you have come to the right place. I have been to London and fell in love with the city and all her lovely charms instantly. During your stay in London, whether you are looking for famous or not-so-famous beautiful places in London, there will be lots of options for you to see and discover. The beauty of London can best be uncovered by exploring beautiful streets and unique markets. Stopping in an occasional coffee shop or pub here and there and having a great dinner to top off your day’s travels will make for some memorable days in London. There are so many beautiful places in London. I hope you love them as much as I do. 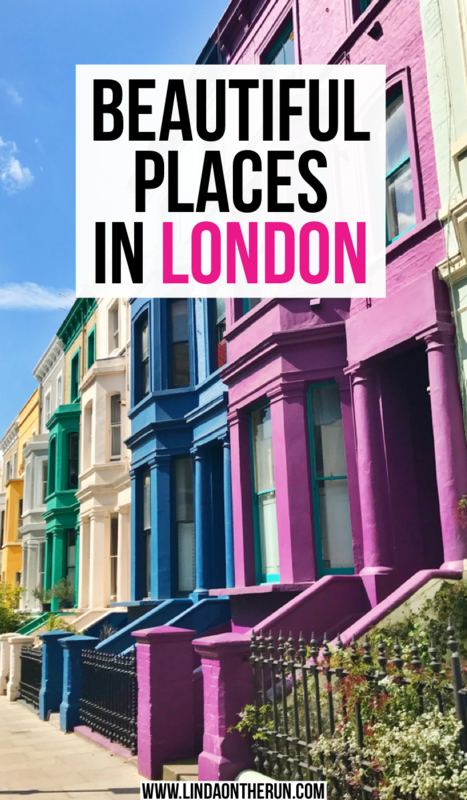 11 Beautiful Places In London You Should Not Miss! 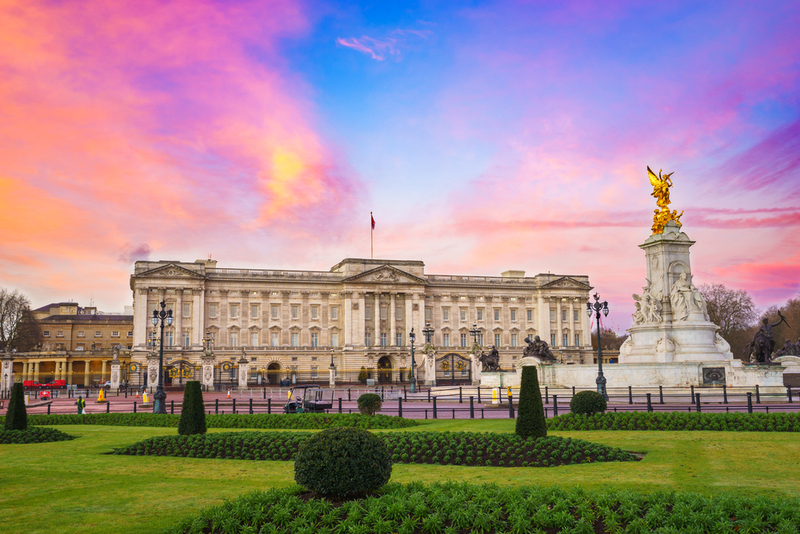 One of the most beautiful places in London is Buckingham Palace at sunset. I loved Green Park so much I visited it twice. It is located in central London, Westminister, to be exact. You won’t find any buildings or landscaping there, only mature trees rising up from the ground, which is what makes Green Park so attractive. It is like being in nature, in the middle of the city. You can walk along the paved pathways, or meander along on the grass and make your own way. When you walk near the trees and walk under their adjoining canopies, it is almost magical. Especially if the sun is shining and peeking through the tree branches. There are benches to sit on and rest, possibly sip a drink or have a snack. Green Park is one of the beautiful places in London I think you will enjoy. How lovely Green Park is for an afternoon stroll or jog. Buckingham Palace is situated adjacent to The Green Park, so you do not have far to go. 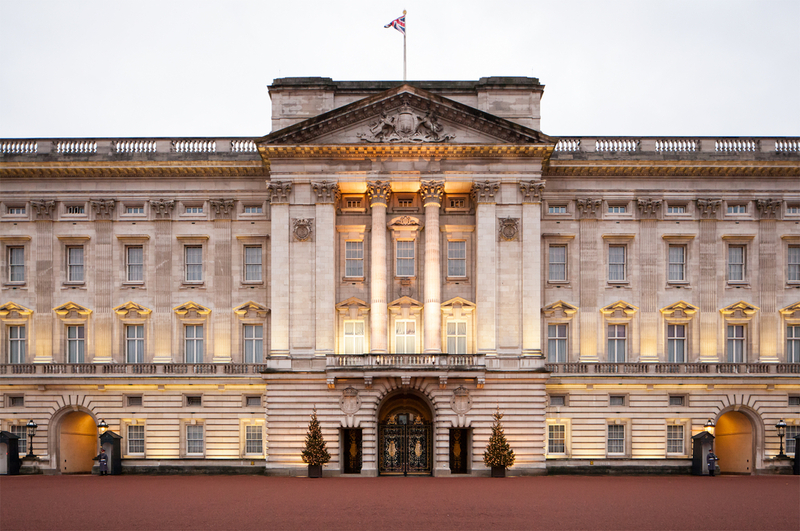 Just about everyone who visits London wants to see Buckingham Palace, the London home of the English monarch, and the administrative offices. The palace gates are ornate and the palace building itself is very important to the British people, during both jubilant and sad times. A very fascinating thing to do is watch the changing of the guard at Buckingham Palace. Did you know that it does not formally happen every day? When I visited London the changing of the guard ceremony was tops on my list of things to see. However, in my excitement, I did not bother to check the dates and times of the ceremony and when I arrived at Buckingham Palace, there was not one scheduled for that day. Do not make the same mistake as me when visiting your beautiful places in London. Check online before you schedule your visit to Buckingham Palace to verify the changing of the guards is really happening that day. Stop At Fashionable Hyde Park To Rest. Or Not. 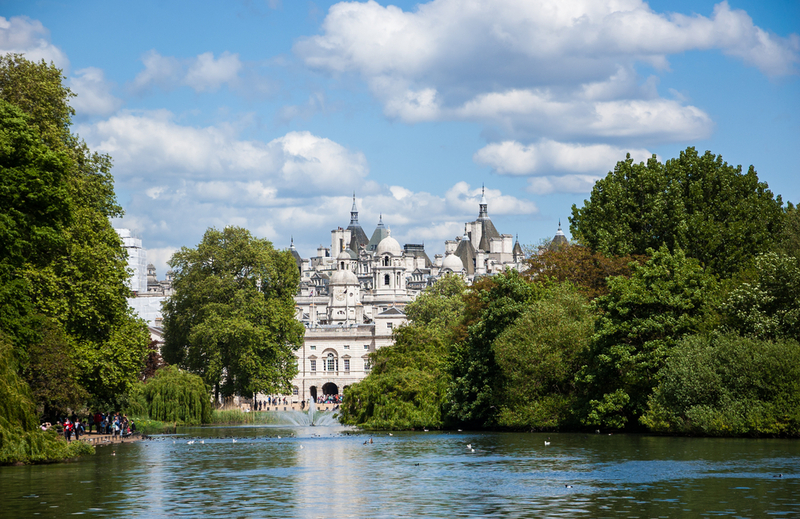 Located in central London not far from Buckingham Palace, Hyde Park is one of the truly beautiful places in London. With 350 acres, it offers lots of quiet places to unwind and relax. Or you may want to join the walkers, runners or cyclists and have a go at some exercise. Depending on the time of year you visit London, Hyde Park rose garden is a great place to head to for true beauty. You may choose to have refreshments at one of the two bars and cafes within the park for refreshments. 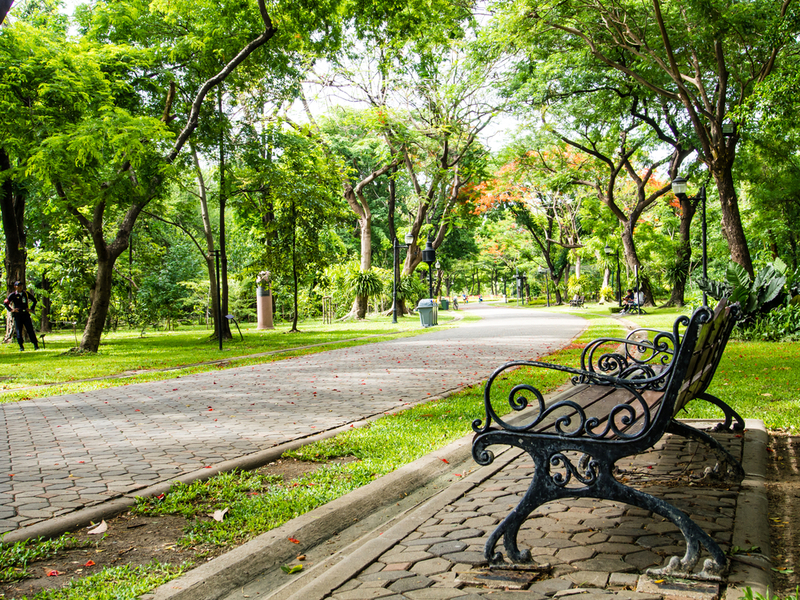 They provide the ideal setting to relax and unwind, amidst the beauty of the park. There are some moving monuments you may wish to visit, including the 7 July Memorial, Diana, Princess of Wales Memorial and the Holocaust Memorial. Each hauntingly beautiful in their own way. Speaker’s Corner is an international well known and popular venue within the beauty of Hyde Park. Free speech is encouraged there and with the rise of the internet not quite as popular, it is still an interesting location to investigate. Located in London’s trendy West End, Covent Garden is an upscale shopping area with a rich history. It used to be a fruit and garden market. Far from that nowadays, there is much to see and much to do at one of the most beautiful places in London. Frequented by locals and tourists alike, you can have high tea in one of the many stylish shops, or simply buy some tea. Restaurants abound along with numerous fashionable shops. Live entertainment is provided by street actors on the weekends. As if all this weren’t enough, Covent Garden is internationally known as home to famous Broadway-type musicals. Do not make the same mistake I made, and not purchase tickets online beforehand. While it is possible to walk to any theatre and ask if tickets are available to your favorite show most are sold out, or super expensive, or not the best seats left. Check online beforehand and secure your tickets early for the best prices and best seats. 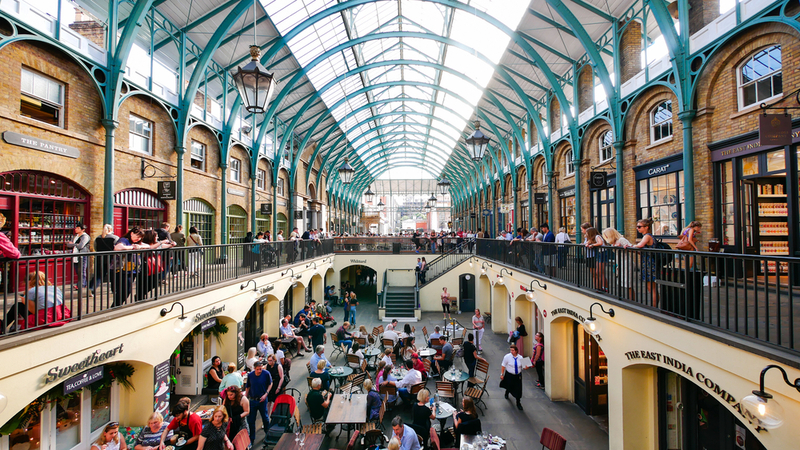 You will find a myriad of shops and restaurants, along with entertainment at Covent Garden. Many people are not even aware of Neal’s Yard. A stylish little courtyard adjacent to Covent Garden, Neal’s Yard is one of the beautiful places in London to stop and take a picture or two. Until recently, it was full of garbage. Now it has been renovated into the popular location it is today. It is worth the visit to see the flowers and ivy-covered walls of the colorful shops. and buildings. Full of independent shops this stylish enclave has enough to interest anyone. There are chic eateries and pubs to discover. 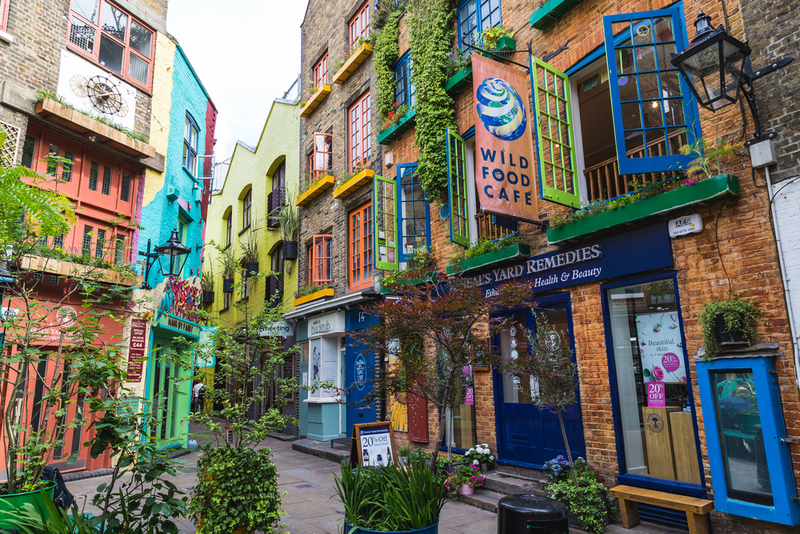 World famous Neal’s Yard Remedies offers all things organic for the body and skin. Good for people watching, do not miss out on visiting one of the truly beautiful places of London, for an afternoon stroll or an evening out. Truly, one of the most beautiful places in London! Owned and run by a very talented and artistic chef, Peggy Porschen, this is a thrill for your senses and your palate. 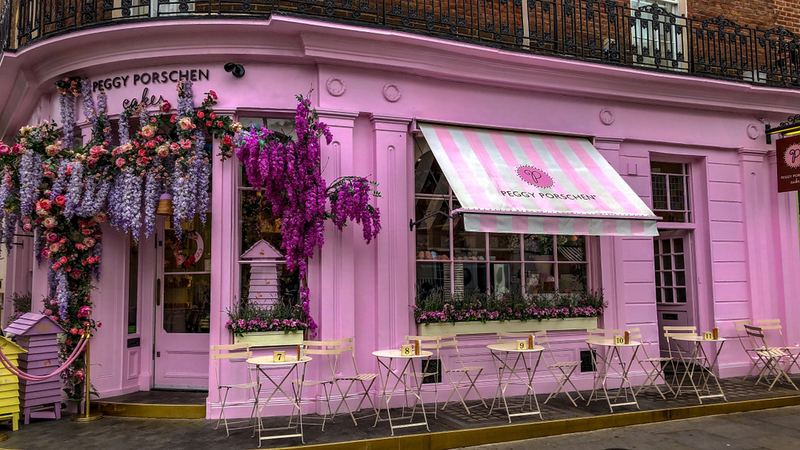 Located in the Belgravia neighborhood of London, Peggy Porschen Parlor’s colorful exterior definitely qualifies itself as one of the beautiful places in London. It will entice you to stop in and linger awhile over the award-winning cupcakes, or a delicious piece of cake. Choose between coffee, tea or even champagne to go with your delectables, and you have the makings of a memorable treat not to be missed. The Royal Borough of Kensington is an upscale and chic neighborhood in London with beautiful Victorian buildings and worldwide embassies. The crown jewel of the area is, of course, the Kensington Palace. It is the home of England’s royal family. Did you know you can tour parts of Kensington Palace? There are several tours you can choose from, including multimedia presentations and exhibits of dresses various royals wore in the past. You can view dinosaurs at the Natural History Museum or visit the science museum. To soak up the true beauty of this affluent neighborhood, there are many posh boutiques to tempt you and classy antique stores to lure you in for a look-see. 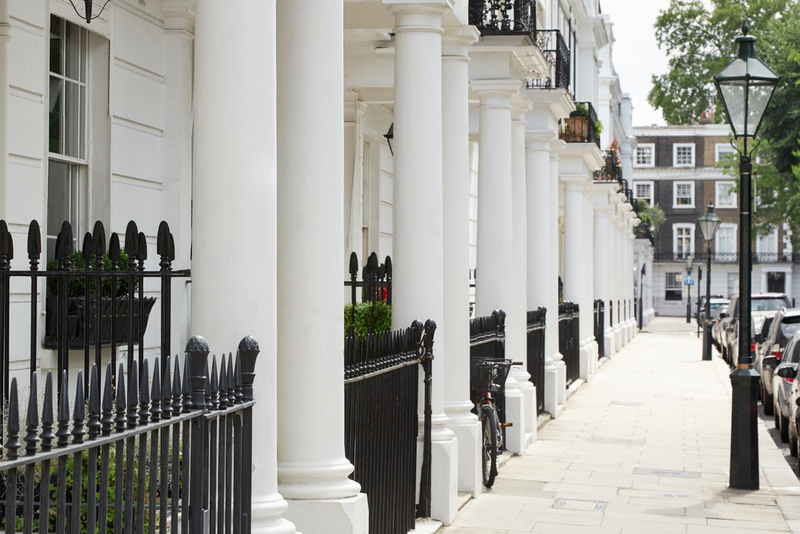 Upscale and chic Victorian townhouses in cosmopolitan Kensington. I did not know what a “mews” is either! Mews are London’s version of an alleyway or small side street with city housing and can be quite enchanting. Kynance Mews is one of the beautiful places in London. It’s archways and walls covered in ivy are so pretty and provide an almost magical backdrop for photographs. Of course, it depends on exactly which season you visit how bewitching Kynance Mews will be. In spring and summer the ivy-laced walls will be green, and in the fall you will see vibrant reds, yellows, and oranges. 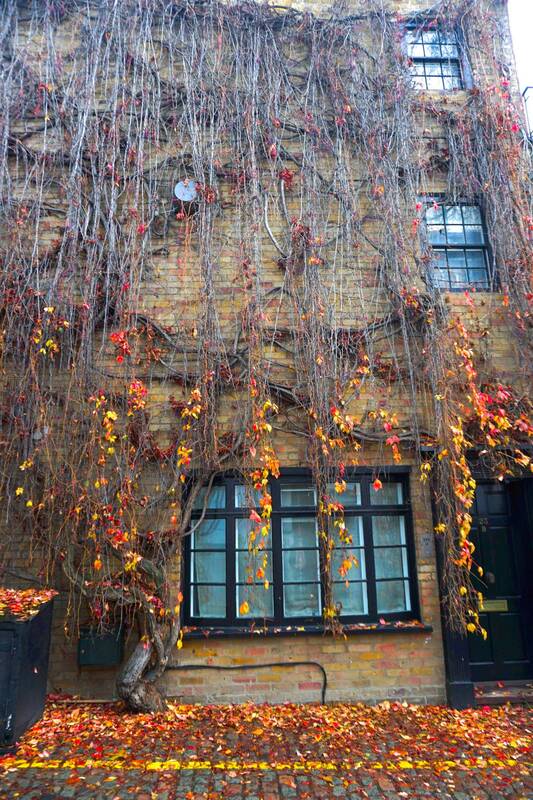 Lovely ivy during the fall at Kynance Mews. Leadenhall Market is a covered market in the financial district of central London. Its ornate roof, painted green, cream and maroon, along with its cobbled streets will make for a magical visit. It is a very popular tourist destination in London, so you will not be alone. 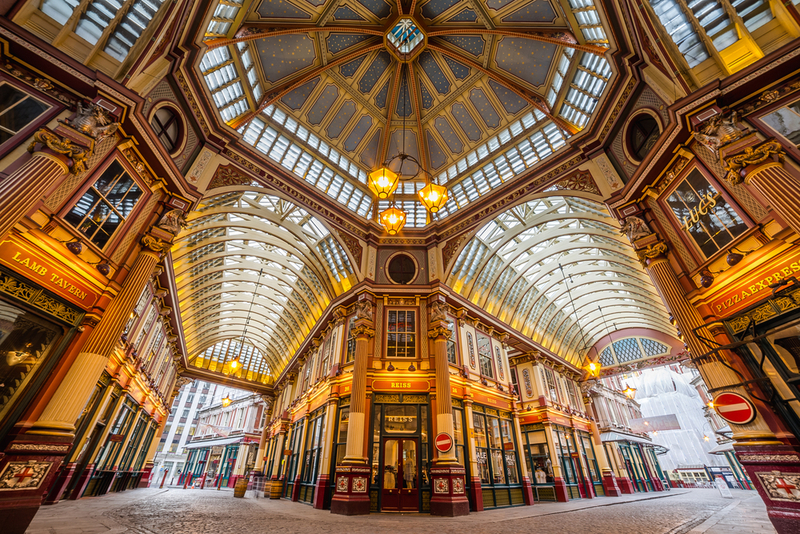 Leadenhall Market has been the backdrop for several movies, most notably Harry Potter, and even had a marathon run through it and you can see why it has made the list of beautiful places in London. You might decide to visit for lunch or a snack because the market sells fresh foods of all kinds along with fresh flowers to brighten up your day! Sky Garden is an unbelievable gem in London. It is a very exceptional public space that is three stories tall and offers 360-degrees of uninterrupted and stunning views of London. While this attraction is free, you do have to sign up for tickets in advance online. A limited number of tickets are issued for each day, and there is lag time online, so make sure to sign up early. You can try your luck without tickets, but the line is long for admittance and there is no guarantee you can get inside at all. If you do make it inside, you will find scrupulously manicured and tended to botanical gardens on all three stories at Sky Garden. And of course, the absolute finest views of London all the way around! There are three upscale restaurants to dine at and two bars for cocktails. 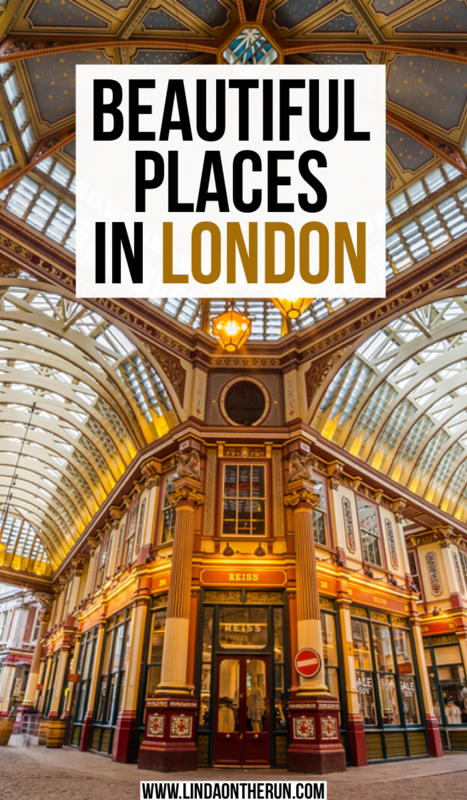 This is one gorgeous place to add to your London itinerary. 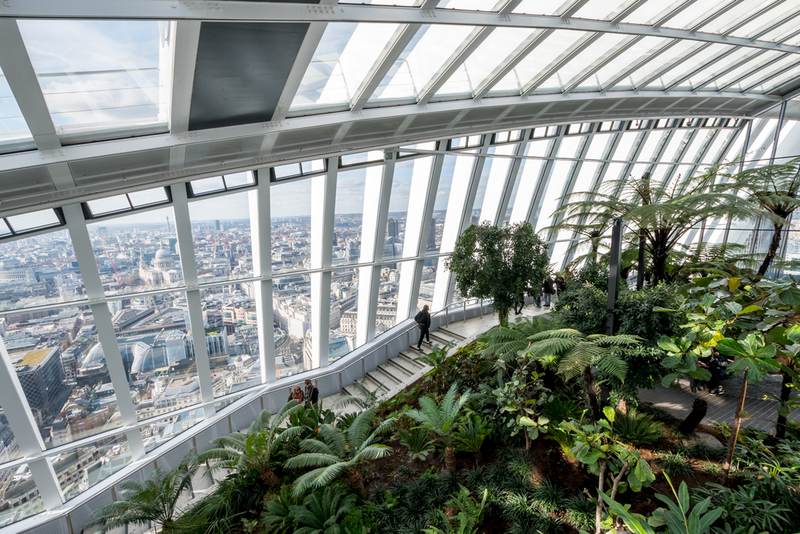 There are 360-degree views for miles and miles at Sky Garden. Notting Hill is very close to the Borough of Kensington and is an upscale and cosmopolitan neighborhood. Notting Hill has a reputation for being an affluent and fashionable area with high-end shopping and exquisite restaurants. Notting Hill is one of the most beautiful places in London. It is home to some of the prettiest streets, most notable Westbourne Park Road. Here you will find colorful and beautiful homes perfect for picture taking and admiring. These houses are more cheerful and more vibrant than other streets in London. Please do remember that these are people’s residences, and do not go onto the property or even the front porches of these houses to snap a picture. I would not want some random stranger to come up onto my porch and take a picture, and I bet you would not either. 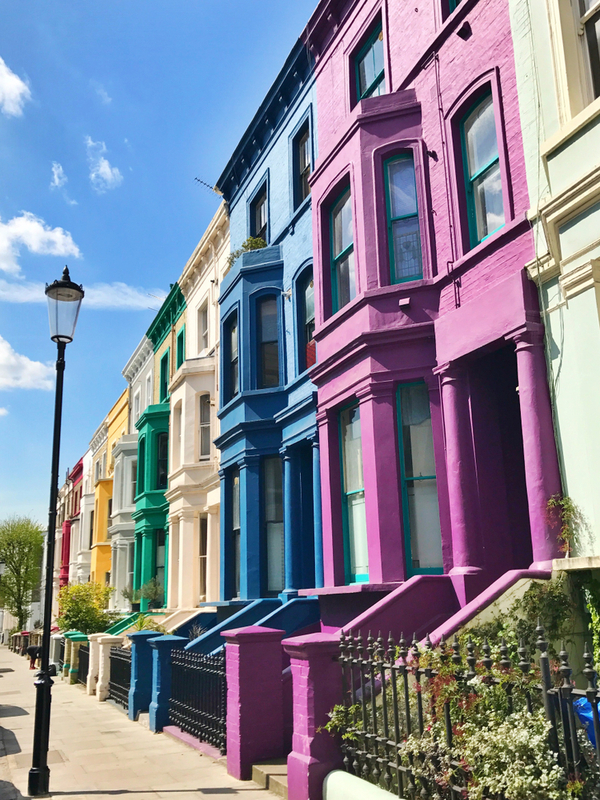 The charming row houses of Notting Hill. 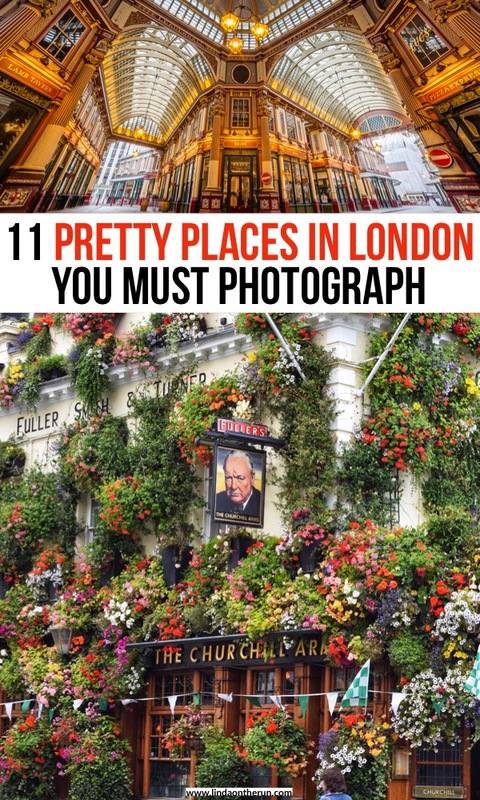 Here I have listed 11 beautiful places in London. I do hope you are able to visit some if not all of them. London is a vibrant and bustling city with lots of neighborhoods to explore and discover all the beauty there is. Have you ever visited London? Do you love it as much as I do? 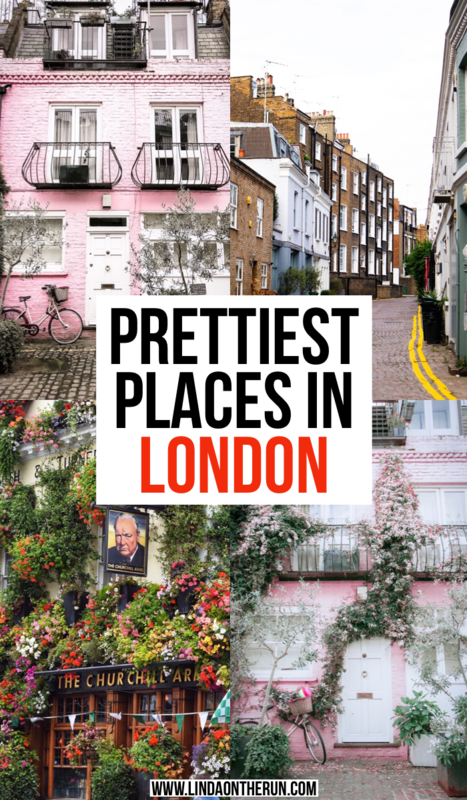 Do you have other beautiful places in London to add to this list? Please leave your thoughts and suggestions in the comment section below. Awww… so many pretty places I missed. I’m keeping this for my next visit. Thanks for sharing. Thank you as well. I love London. It is amazing. Thanks for your tip about Buckingham Palace! I thought it would have been a daily exercise. I will check if I ever get over that way. Surprised me too. Don’t want anyone else to be disappointed. Wow gorgeous photos! I am so inspired and ready to travel to London now!! My son and I are really looking forward to heading there for a few weeks this fall. I took lots of notes from your post! Thank you! Family travel is absolutely wonderful. K gals I can help in some small way. I also explored your shared all these places during my last summer holidays and came back with smiley faces. Wonderful. It is a fabulous place isn’t it? !